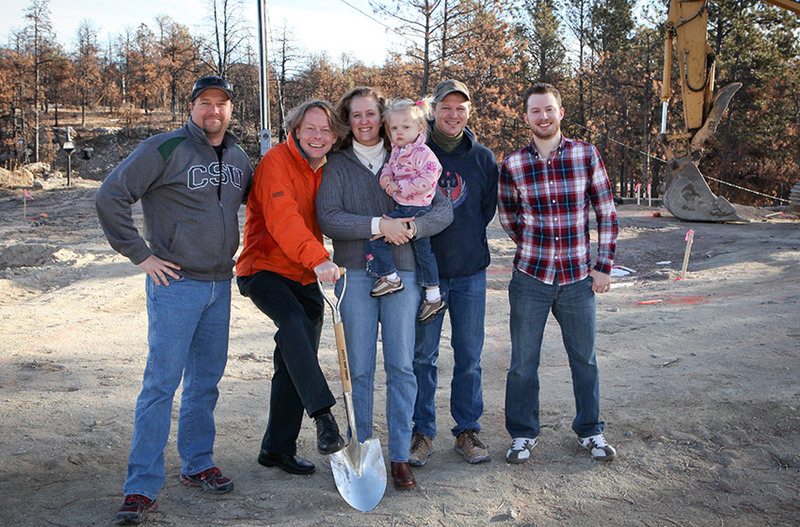 On Monday morning we broke ground on our fourth Black Forest fire rebuild, on Peregrine Circle in the south west end of Black Forest in Colorado Springs. Kristian and Jaenette Coyne are a wonderful family that we’ve done construction projects for in the past, and we’re honored that they chose us as their builder when they lost their home in the Black Forest fire. The Coynes have been “the face” of the Black Forest fire in many regards; their home was one of the first lost to the fire; they’ve been on TV (interviewed by CNN’s Anderson Cooper); written about on FOX News; quoted on CNN.com; and featured in our local newspaper, The Gazette. We can’t wait until the home is finished and we can hand over the keys to the Coynes. It’s going to be a great journey.